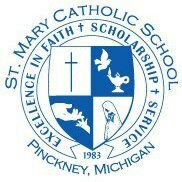 It is the mission of Saint Mary Catholic School to be a partner with parents in the spiritual and academic education of their children. 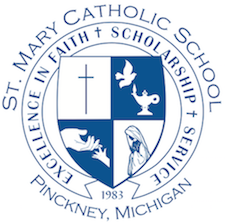 This Catholic Education is rooted in the Gospel teachings of Jesus Christ and takes place in a positive atmosphere where students are encouraged to reach their full potential, both in living out their Catholic faith and pursuing academic excellence. Focuses on the spirit of stewardship by challenging each student to use their gift of time, talent, and treasure to glorify God and benefit others. https://www.youtube.com/watch?v=0lHskDZNrYk#action=share Paste into your browser to hear a message from Bishop Boyea. Families with students in grades Kindergarten through 12 grade can apply for tuition assistance. $750 for grades K-8 and $1000 for grades 9-12. Applications are due by March 1st. Please call the school office for more details at 734-878-5616. These missions come down to sharing the Good News, celebration of the sacraments, catechizing, and service. All that we do as a universal Catholic Church must tie back, in some way, to these Christ-centered goals. Here at St. Mary, we try to do this in a variety of ways, and we invite you to share in the Church’s missions given to us by Christ. 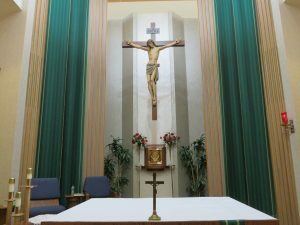 As you review these parish activities, discern your own gifts – what you have been given by God to offer back to the good of the Church, and honestly make a commitment of time and talent to fulfill them. The blessings you receive will be greater than what you give. It’s part of the joy of Christianity.